All rational creatures have their own vineyard, their souls, their wills being the laborers appointed to work in them with freedom of choice, and in time, that is, for as long as they live. Once this time is past they can work no more, whether well or ill, but while they live they can work at their vineyards in which I had placed them. 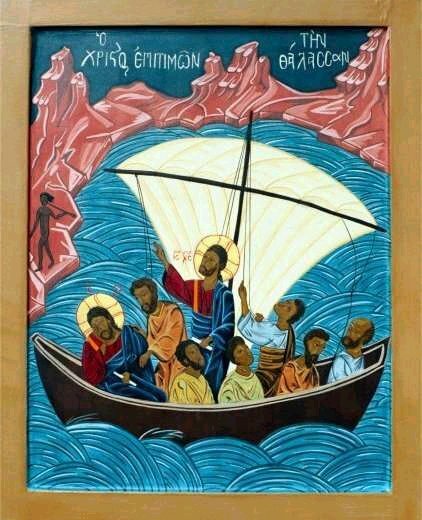 And these laborers in the soul have been given a strength no devil or any other creature can take from them unless they choose; for their baptism made them strong and equipped them with a knife of love and virtue and hatred of sin. I found this wonderful little reflection in Fr. Robert Wright’s work, Readings for the Daily Office from the Early Church. 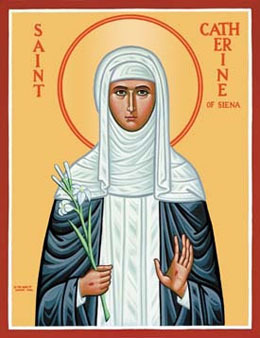 It’s particularly meaningful for me because Saint Catherine of Sienna was also a member of the Dominican Order. She lived from 1347 until 1380, is one of the two patron saints of Italy, and has been named a Doctor of the Church. Although a mystic, she was also a theologian and a Scholastic philosopher. She lived during the time when the black death ravaged Europe. Her parents had 25 children, although only about half of them survived to adulthood. She worked very hard to bring unity and peace to the Roman Catholic Church, deeply loved the poor, and both befriended and occasionally chided Popes and clergy. The Dialogue of Divine Providence treats the whole of our spiritual lives as a series of colloquies between the Father and the human soul. In this profound passage, St. Catherine compares the soul to a vineyard. We might immediately think of Jesus’ description of us as branches of a vine. See John 15:5. We might also think of the parable of the vineyard workers set out in Matt. 20:1-6. With regard to this vineyard of the soul, Catherine observes that we have been given a specific time within which to complete our work. Once our time is past, she observes, we “can work no more”. St. Catherine reminds us that our time is relatively short, and that we must be about our spiritual work while we can. To accomplish this work, our Father has provided us with powerful tools: the sacraments (and baptism in particular). Catherine compares them to a knife (such as one might use to prune a vine), but this is no ordinary blade. God has provided us with a “knife of love and virtue and hatred of sin.” With these, the Almighty has equipped us to work in the soul’s vineyard. Important work awaits you and me, and The Lord has given us tools that neither the devil nor anyone else can take away from us without our consent. For the work of the soul, we have everything we need. The idea of prayer is based upon the assumption of man’s ability to accost God, to lay our hopes, sorrows and wishes before Him. But this assumption is not an awareness of a particular ability with which we are endowed. We do not feel that we possess a magic power of speaking to the Infinite; we merely witness the wonder of prayer, the wonder of man addressing Himself to the Eternal. Contact with Him is not our achievement. It is a gift, coming down from on high like a meteor, rather than rising up like a rocket. Before the words of prayer come to the lips, the mind must believe in God’s willingness to draw near to us, and in our ability to clear the path for His approach. Such belief is the idea that leads us toward prayer. –Abraham Joshua Heschel, Man’s Quest for God. If you have been following this blog for very long, you know that I respect, admire and often refer to Rabbi A.J. 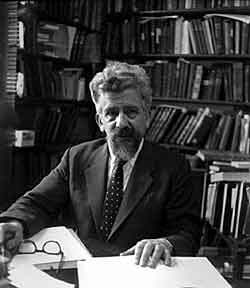 Heschel. I consider him one of the most profound spiritual thinkers and writers of the last century. His thoughts are particularly compelling on the subject of prayer. We cannot list prayer as one of our achievements. We answer the call to pray through grace; our prayer itself constitutes a gift from God. We are not the Source of prayer, we merely respond to that Source. Somehow, we have been given the audacity to address the Infinite. We bring before the Eternal all our hopes and fears, our failures and our triumphs, our sorrows and our joys. As Rabbi Heschel notes, our faith that God wants to share these things provides the conduit for prayer. The bedrock of prayer lies in the bold presumption that the Almighty wants to draw us within Himself, to share in our lives so that we might share in His dreams for this world. Here, we encounter the great mystery of prayer. In that single act of courage, we begin to clear a space for God’s entry into our lives. In my home, I grew up believing that there were four High Holy Days of the year, consisting of the Sunday of: the Augusta National Invitational (generally known as “The Masters”), the U.S. Open, the British Open, and the PGA. One of them, the final round of the U.S. Open, always falls on Father’s Day. On Father’s Day, more than most other days, I think of the question that folks sometime ask me: “If you could have anything in the world you wanted, what would that be?” My answer is always the same: I want one more round of golf with my Dad. My first recollection is of going to the golf course with my father. I couldn’t have been more than two or three years old, but still remember the smell of freshly cut grass. I’m one of the kids who grew up on the back of a golf cart. Years later, my father would drop my brother Patrick and me off at the golf course while it was still dark outside. Those may still be my happiest memories. In the half-light of a West Texas morning I learned that family mattered, that golf mattered, and that my brother mattered. The latter took a while to sink in…. I also dearly love the conspiratorial bond that my father and I developed. For example, my mother hated guns. On my ninth birthday, after considerable unseemly begging, my father bought a .22 for me. 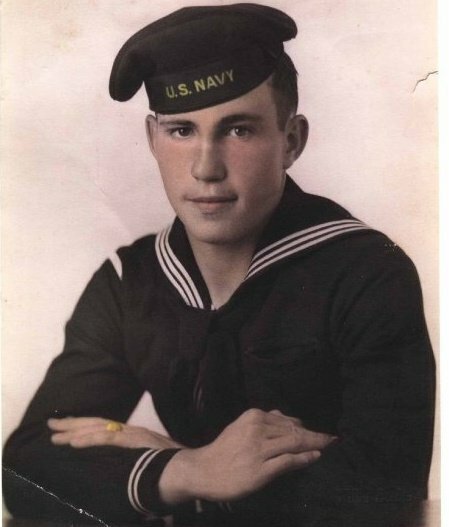 On our way home from the gun shop, my Dad looked at me and told me that “You don’t have to tell your mother everything you know about.” He was a man of considerable wisdom. There is something sacred about our fathers. Scripture recognizes this in so many important ways. When the disciples asked Jesus how to pray, he taught them to begin “Our Father….” I don’t think there’s anything accidental about that. 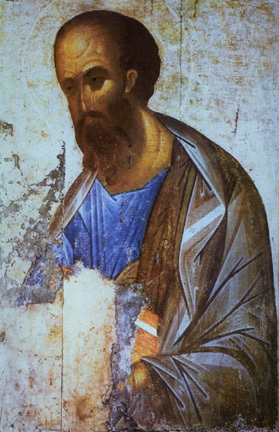 John reports that Jesus said: “I am the way, and the truth, and the life. No one comes to the Father except through me. If you know me, you will know my Father also. From now on you do know him and have seen him.” John 14.6-7. Why did Jesus so often refer to God as “the Father”? I don’t think there’s anything sexist going on here. Rather, I think there’s a sacred recognition of what goes on between fathers and their children. I have no intention of minimizing the roles of our mothers. In fact, I grew up thinking of the Church as Holy Mother. I do intend, however, to raise up our fathers as people worthy our recollection and of fatherhood as a role worth honoring. I don’t think of our family lives, or of our church lives, as a zero sum game. I think we can honor our fathers without minimizing our mothers. In fact, I think we are morally and scripturally compelled to do so. It is no coincidence that when he hung on the cross, betrayed by friends and compelled to His humanity in a sacrificial incarnation, Jesus cried out, “Abba, Abba.” The closest translation of that word is “Daddy.” When I am alone, when I am feeling weak, I often ask for my father’s help, as well as my Father’s help. The cry for Daddy comes to us early in our lives, and we ought to remember those who so often answered it. God has treated me better than I deserved. Just as He gave me my own father, he has given me spiritual fathers who helped teach me about the things that matter. The first of these, a priest named Joseph Armshaw, served in my parish in Odessa. He helped me learn that we could meet God’s children in ways and places that we never expected, and that God’s love for us could manifest itself in liturgy and in thoughtful discussion. He loved his parish, and more importantly, he loved his parishioners. For you were called to freedom, brothers and sisters; only do not use your freedom as an opportunity for self-indulgence, but through love become slaves to one another. For the whole law is summed up in a single commandment, “You shall love your neighbor as yourself.” If, however, you bite and devour one another, take care that you are not consumed by one another. Gal. 5:13-15. Today’s reading from the Daily Office offers us a glimpse of St. Paul’s notion of Christian freedom. Earlier in the passage, Paul says that Christ has set us free for freedom. Gal. 5:1. Paul notes that Christ has freed us, not only from the yoke of the Law, but also from sin itself. Generally, we think of being freed from some sort of difficulty (financial debt, addiction, or a broken heart). Jesus has not only freed us from the law, He has freed us for a new relationship with the Father. Thus, St. Paul tells us our new freedom does not liberate us for self-gratification. If that were so, we would simply trade one set of chains for another. St. Paul argues that the contrary view of freedom (absolute liberty devoted to selfish goals) leads to an “eat or be eaten” way of living. He says, “If, however, you bite and devour one another, take care that you are not consumed by one another.” His language here conjures up images of wild animals tearing each other apart. (I’ve certainly been present at dinner parties which would suggest that Paul was right.) We have too often demonstrated the capacity for greed, humiliation, violence and making a way for ourselves on the backs of others. Paul is right; we consume each other. St. Paul offers us another way: the Way of the Cross. He tells us “the only thing that counts is faith working through love.” Gal. 5: 6. Paul believes this new relationship with God compels us toward a life of charity and compassion. This new relationship with Christ draws us into a life of serving each other. There, we will encounter the freedom to be the sort of people God intended us to be. Stated another way, Jesus freed us to become the Church, His mystical body. Beyond compliance with a set of rules and beyond the “righteousness trap”, St. Paul calls us to a life of devoted service to God’s children. and you will strike his heel.” Gen 3:8-15. 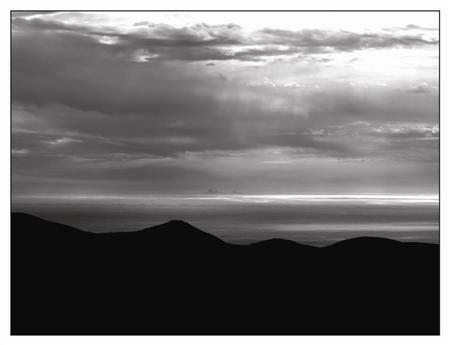 In today’s Lectionary reading, we encounter the third chapter of Genesis, taking us back to a time when God walked freely within His creation, a time before the separation of God and mankind, and before the separation of mankind and nature. Yet through their disobedience, mankind has chosen to separate themselves. I think that’s how it still works today. We chose to move away from God, and find ourselves isolated and sometimes exiled. 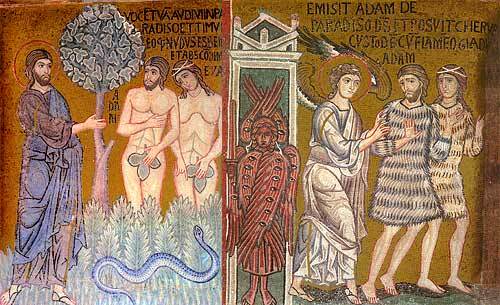 When God asks if they’ve eaten from the forbidden true, Adam’s response typifies our own response to being caught. “It wasn’t my fault; you’re the one who made her, and she’s the one who gave the fruit to me.” Eve joins in the fray, shifting the responsibility for these events to the serpent. The knowledge of good and evil leads, in a primordial sense, to our urge to compare ourselves to others. Right from the outset, mankind is caught in a “worthiness trap”, in which we try to avoid the consequences of sin by comparing our tiny offenses to the far greater misdeeds of others. Within this story, mankind discovers that it’s nakedness; we have learned shame. I think the story also teaches us a bit about the nature of God. God makes himself vulnerable to creation, endowing mankind with the free will to make choices, some of which are self-destructive. This understanding of God allowing Himself to be vulnerable to humanity will echo again in the story of Jesus, who suffers remarkable humiliation through His entry into human history. It’s sometimes difficult for us to imagine an omicient, omnipotent God who somehow remains vulnerable to us, and yet, that seems to be exactly the sort of Father we have. The third chapter of Genesis offers us an insightful examination into humanity’s instinctive habit of transgression, trespassing across the boundaries God has set for us. Rather than depending upon God, mankind has sought its independence, we choose to discovery “good and evil” for ourselves. The lynchpin upon which this story of the Fall turns is mankind’s refusal to trust God. Our mistrust, not our sexuality and not our gender, places us on a path of separating ourselves from paradise and the Father. For thousands of years, our stubborn insistence on our own ability to understand the nature of good and evil has resulted in a steady process of separation from the Source of our lives. The story of Genesis teaches us about our remarkable ability to forget that this is God’s world, that we belong to His family, and our willingness to blind ourselves to the spiritual landscape that surrounds us. Genesis centers around a profound feeling of loss, the feeling that we have lost an intimacy with the Source of our lives. The rest of the Bible examines the issue of how we might recover what we’ve lost.